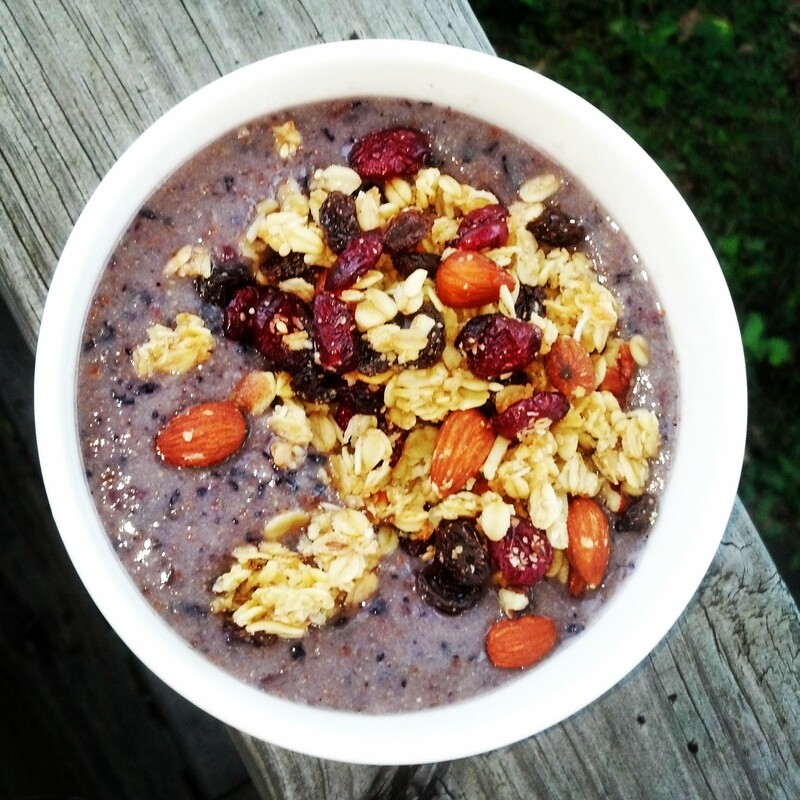 Berry Grape Banana Smoothie Bowl – Love. Nourish. Heal. I ran out of my vegan yogurt and was craving something fluffy to eat with my granola this morning after a strength training work out. Very quick and tasty! Blend the banana, blueberries, grapes, almond milk and flax seeds together. Sprinkle the granola on top once the mixture is smooth. I put it in a bowl to eat with spoon, but you can put it in class and drink it, too!